It has three molded legs and a round seat. It can be used as extra seating and is easily stackable. We all know it well; the archetypal three-legged stool. Nearly everyone has had a variation of it in their home at some point in their lives but often its design is taken for granted. 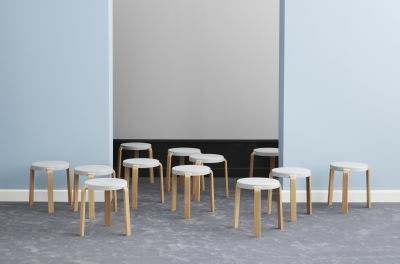 Precisely the rethinking of something as simple as a stool was the starting point for Normann Copenhagen's Tap Stool. Slightly hard foam has been used for the seat, which, like rubber, has a flexible, sealed surface. This makes Tap dirt-resistant, durable and easy to clean. The moulded seat ensures good seating comfort and provides the stool with the same welcoming warmth known from upholstered furniture. The three legs have an integrated transition to the seat. This gives Tap the appearance of a unified whole, even when seen from the side. Use it as an extra seat or to rest your feet on when tired. 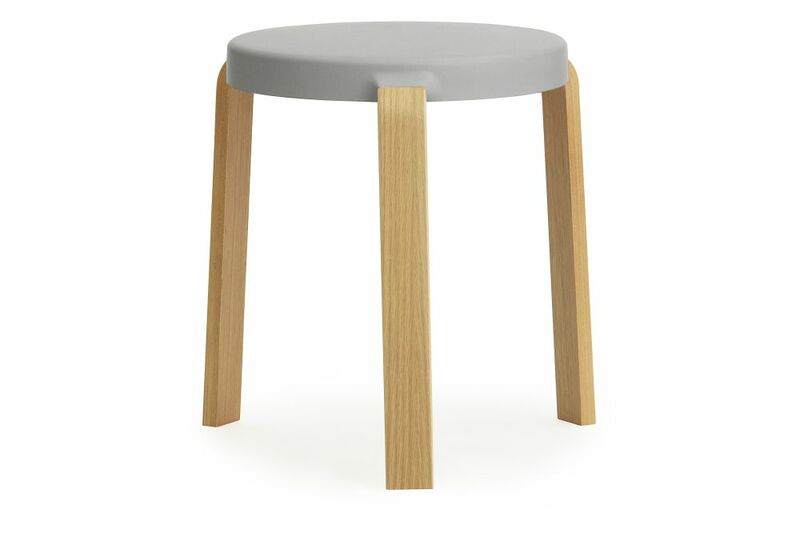 The seat of the stool is made of PUR foam with a closed cell structure for durability and easy maintenance. The stool comes flat-packed. Assembly manual included.